You can edit audio at any time in Articulate Quizmaker using the built-in audio editor. After adding audio to your quiz, use any of the following methods to launch the audio editor. 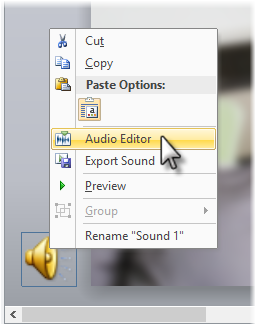 Right-click the speaker icon at the lower left corner of your slide, and select Audio Editor. Tip: If your slide contains more than one audio track and you aren't sure which one to select, you can double-click each speaker icon to hear a preview of the audio track that it represents. Then single-click the speaker icon to stop the audio preview. Right-click the audio track in the timeline, and select Audio Editor. Double-click the audio track in the timeline to launch the audio editor. We'll explore each of the audio editing features available in Quizmaker below. Or, right-click the audio waveform, and select Play to preview your narration. To hear just part of the audio, use your mouse to select a portion of the waveform. Then use the Play/Pause and Stop buttons, or right-click the selection and click Play. 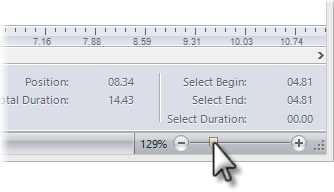 To record additional narration, click on the waveform at the point where you want to add audio. 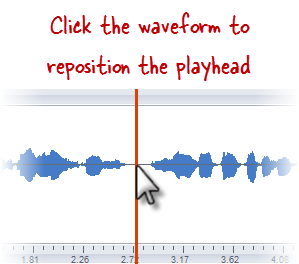 The playhead (red, vertical line) will move to the point on the waveform where you clicked. Or, if you want to replace some of the audio, use your mouse to select the portion of the waveform that you want to overwrite. Or, if you want to re-record all the audio, press Ctrl+A to select the entire waveform. It'll be overwritten in the next step. The Record Microphone window will open. When you're ready to begin recording, click the Record button. If you need to record your narration again, simply click the Record button to start over. Or, if you want to delete your narration altogether, click the Delete button. If you change your mind about recording narration and would prefer to import audio instead, click the Import audio file button. 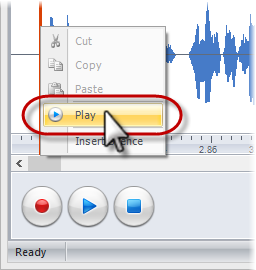 Navigate to the audio file you want to insert, and click the Open button. To import audio in the Audio Editor, click on the waveform at the point where you want to add audio. The playhead (red, vertical line) will move to the point on the waveform where you clicked. Or, if you want to replace some of the audio with an imported file, use your mouse to select a portion of the waveform. Or, if you want to replace all of the audio with an imported file, press Ctrl+A to select the entire waveform. It'll be overwritten by the imported audio file. Browse to the audio file you want to import, and click the Open button. 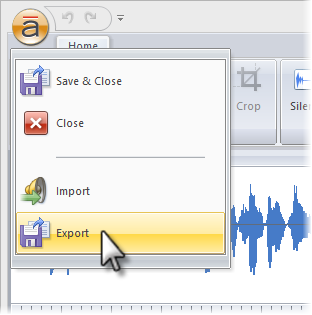 You can use the Audio Editor to export a copy of your audio. This can be useful for backup purposes or for use in another project. 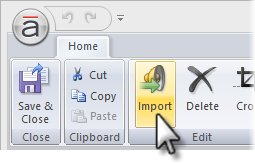 Click the round Articulate button in the upper left corner of the window, and select the Export option. Browse to the location where you want to save your exported audio, and assign a File name. Use the Save as type drop-down to specify whether you want the exported audio file to be saved as an MP3 file, a WAV file, or Both WAV and MP3. Use your mouse to select a portion of the audio waveform. 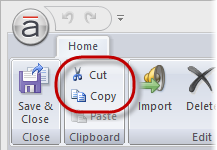 Click either Cut or Copy on the toolbar. Or, right-click the selection, and choose Cut or Copy. Or, press Ctrl+X to cut or Ctrl+C to copy. Click on the waveform at the point where you want to paste audio. The playhead (red, vertical line) will move to the point on the waveform where you clicked. 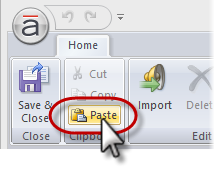 Or, right-click and select Paste. Or, press Ctrl+V to paste. 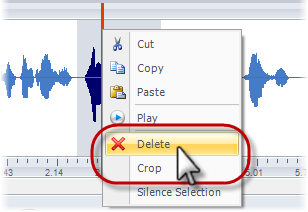 Use your mouse to select a portion of the audio waveform that you want to delete or crop. 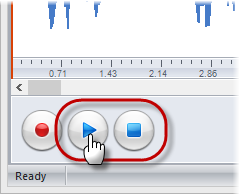 To remove the selected portion of the waveform, click the Delete button on the toolbar. Or, to keep the selected portion of the waveform and remove everything else, click the Crop button. You can also right-click the selection, and use the Delete and Crop options. Click on the waveform at the point where you want to insert silence. The playhead (red, vertical line) will move to the point on the waveform where you clicked. 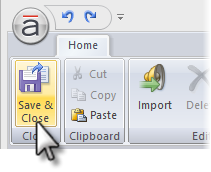 Click the Silence button on the toolbar. Or, right-click and select Insert Silence. 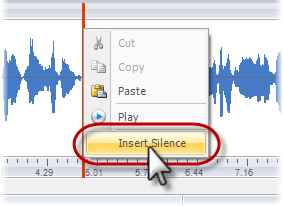 When the Insert Silence window appears, enter the number of seconds of silence you want to add, or use the arrows to increase or decrease the value. Use your mouse to select a portion of the waveform. Then click the Silence button, or right-click and select Silence Selection. Unlike when you're adding silence (see above), you won't be asked to specify the number of seconds. Instead, silence will simply replace the portion of the waveform you selected. You can change the volume of your audio by clicking the Volume button on the toolbar and using the slider to reduce or increase the volume. 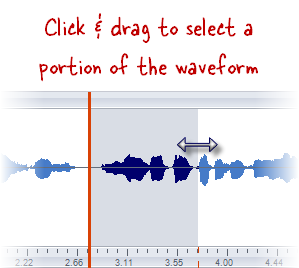 If you only need to change the volume for part of the waveform, use your mouse to select that portion of the waveform. Then click the Volume button on the toolbar, and use the slider to adjust the volume. 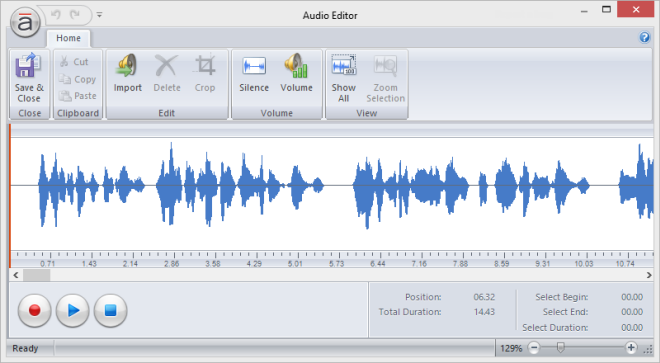 The Audio Editor provides you with the following options for zooming to achieve even more precise editing. The easiest way to zoom in or out is to simply scroll your mouse wheel. Another option is to use the Zoom slider in the lower right corner of the window. Drag the slider to the right to zoom in. Drag the slider to the left to zoom out. Click the Show All button on the toolbar if you need to return to the entire audio waveform. Or, to zoom into a specific portion of the waveform, use your mouse to select just that portion of the waveform. Then click the Zoom Selection button to fill the Audio Editor with only the selected portion of the waveform. Click the Show All button on the toolbar if you need to return to the entire audio waveform. 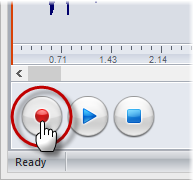 When you've finished editing your audio, click the Save & Close button on the toolbar. 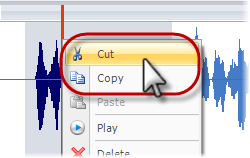 Tip: You can also close the Audio Editor without saving your changes if you want. To do so, just click the X in the upper right corner.